I am almost embarrassed to admit how long I sat on this quilt top and back, waiting to finish it. 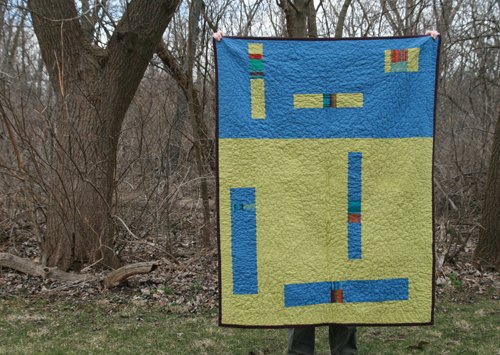 Apparently, I had plans 8 months ago to baste and quilt it right away! Ha, well things must have crept up and it just was pushed further and further down the priority list. It feels really good to check this UFO off my list. 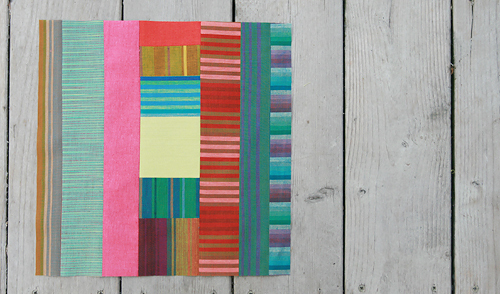 The blocks and cornerstones of this quilt were all made using Kaffe Fassett's striped fabrics as well as Moda cross weaves. I am SO sad to say that I just heard last week from Brenda at Pink Castle Fabrics that Moda has discontinued their beautiful cross weaves. It's really a shame, I hope they bring them back at some point. But for those that are hoping to stock up or try them out, you can find a few still on Etsy. When I originally made these blocks, I wrote up a quick tutorial. The blocks actually came together rather quickly and I love the variety of them. Then I used 3" finished white sashing with corner stones between the blocks. 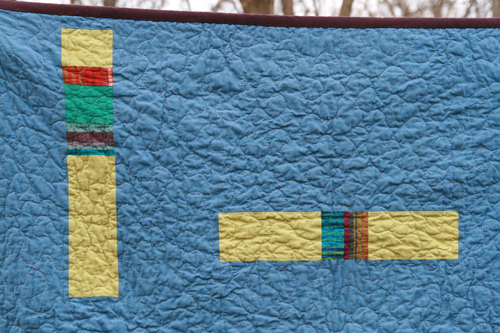 It's actually hard to see the detail in the photos since I washed this quilt before taking pictures, but for the back I used two blocks of solid fabric and then incorporated strips of Kaffe stripes and Moda cross weaves. I love the look. 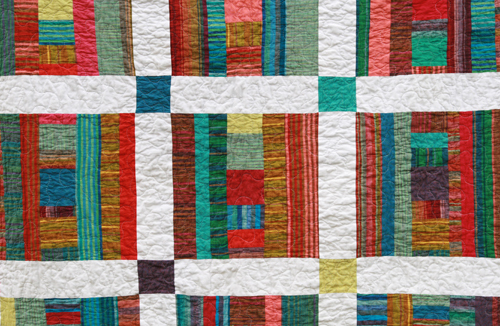 I quilted this in a free motion meandering style, giving it that cozy, crinkled look. It measures about 44" x 58". 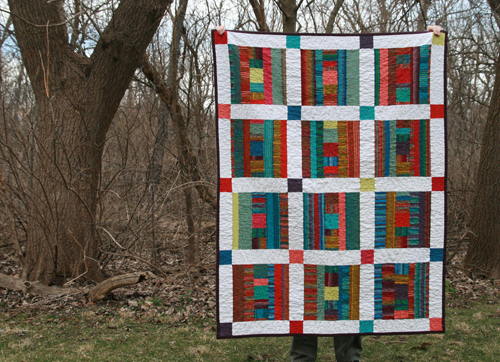 I'll be putting this quilt up for sale in my shop soon. 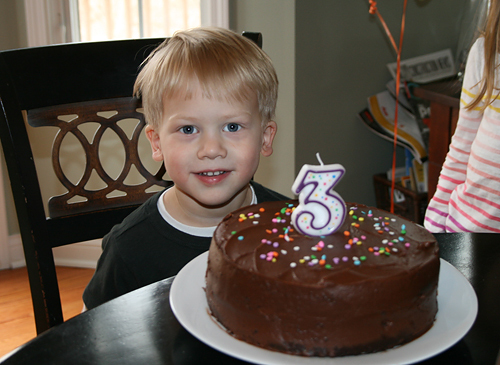 This weekend was my son's 3rd birthday. We spent both days celebrating, relaxing, but not sewing. But that's ok, I really love this guys and can't believe how fast he is growing up. I hope you all had a wonderful weekend!